A Member of the Tandem Realty Group - We've Got You Covered! The team at Harcourts Silverdale are dedicated to providing outstanding real estate service to all their customers. Energy and enthusiasm reigns and this, together with the extensive individual and collective experience of our people is the recipe for their… and YOUR success. A commitment to ongoing personal and professional development ensures that the service we provide to our clients is at the cutting edge of all that is real estate, each and every time. Our team places an enormous amount of emphasis on taking the time to listen and understand client’s individual needs and building genuine personal relationships. On a purely professional level, their knowledge of the local market and current property trends is without peer. Then we ensure that the whole comprehensive portfolio of Harcourts proven marketing programmes is available to each and every client. Our aim is to sell your home for the highest price, in the shortest possible time, with the least amount of disruption to you and your family, and to do such a good job that you will happily recommend us to your closest friends. That is a promise and it is one which we take very seriously indeed. We have the Hibiscus Coast covered! 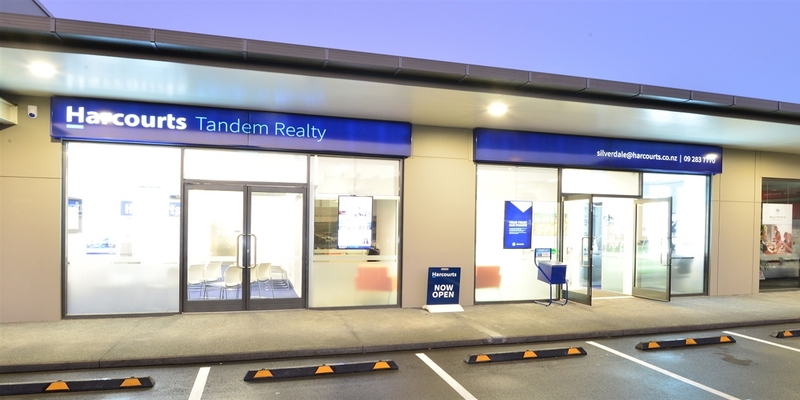 Our Silverdale office is the head office for Tandem Realty - which also owns and manages Harcourts Orewa and Harcourts Whangaparaoa ensuring maximum exposure for your property. Further, we’re right there when you need us, yet provide access to the extensive network of experience of New Zealand’s largest, most innovative and most preferred real estate service provider. Are you considering a career in Real Estate? We’re a great company, have great people and are based in an enviable location embracing the beach lifestyle the Hibiscus Coast offers. If you're interested in joining our sales team, get in touch on 0800 765 348 to find out more! For an estimate of your property's market value in today's market, please complete the details below, click on submit and we will contact you at our earliest convenience to make a confidential appointment to appraise your property. Thank you.